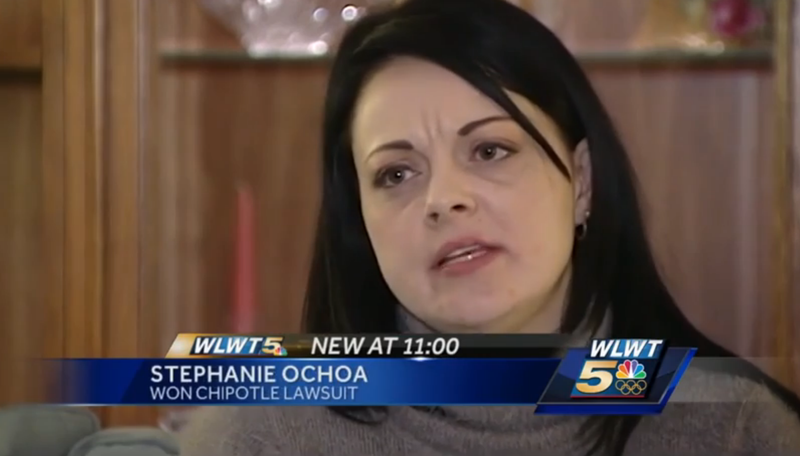 On Monday, according to WLWT, three former managers at a Cincinnati-area Chipotle won a gender discrimination lawsuit against the company, which is really having a banner year. A federal jury ruled that Stephanie Ochoa, Tina Reynolds and Elizabeth Rogers had been discriminated against as well as fired because of their gender; each of the women was awarded nearly $200,000. The women argued that they were held to different standards than male general managers. “We put everything into Chipotle,” former Chipotle general manager Tina Reynolds said. You know, I unfortunately don’t even work at Chipotle—but, to both of those statements, same. The women said the hiring of a new manager was the beginning of their problems. Reynolds said she was held to a different standard. [...] Her male counterparts who were getting worse audits weren’t reprimanded, while she was fired. “Why am I being treated like this when I am doing a great job?” Reynolds said. Seven female general managers at Cincinnati-area stores had similar complaints. The attorney for this case, Kelly Myers, cites “egregious” comments made by the area manager who terminated the three women: that there was too much estrogen in the store, that there were too many overweight women. The manager had not received EEOC training, she alleged in the trial. Chipotle has denied this, and filed a motion to dismiss the lawsuit in 2013, but you know, women are like E. coli—eventually, they’ll win.